Today is World AIDS Day, and Calm is proudly partnering with (RED) in the fight to #endAIDS. We’ve also created brand new content in the Calm app to celebrate this partnership. Since 2006 (RED) has collaborated with the world’s most iconic brands to harness the power of people and companies to raise money to support HIV/AIDS grants in Ghana, Kenya, Lesotho, Rwanda, South Africa, Swaziland, Tanzania, and Zambia. To date, they have generated over $475 million and impacted more than 90 million people with HIV/AIDS prevention, treatment, counseling, testing and care services. 100 percent of the money raised goes to work on the ground – no overhead is taken. Making a difference in the world is the perfect addition to our dreamy elixir of essential oils in our limited edition (CALM)RED Sleep Mist. This holiday season we've made it easy for you to give the Gift of Calm (to yourself or a friend) and give back at the same time. Every purchase can provide over three days of life-saving HIV medication. 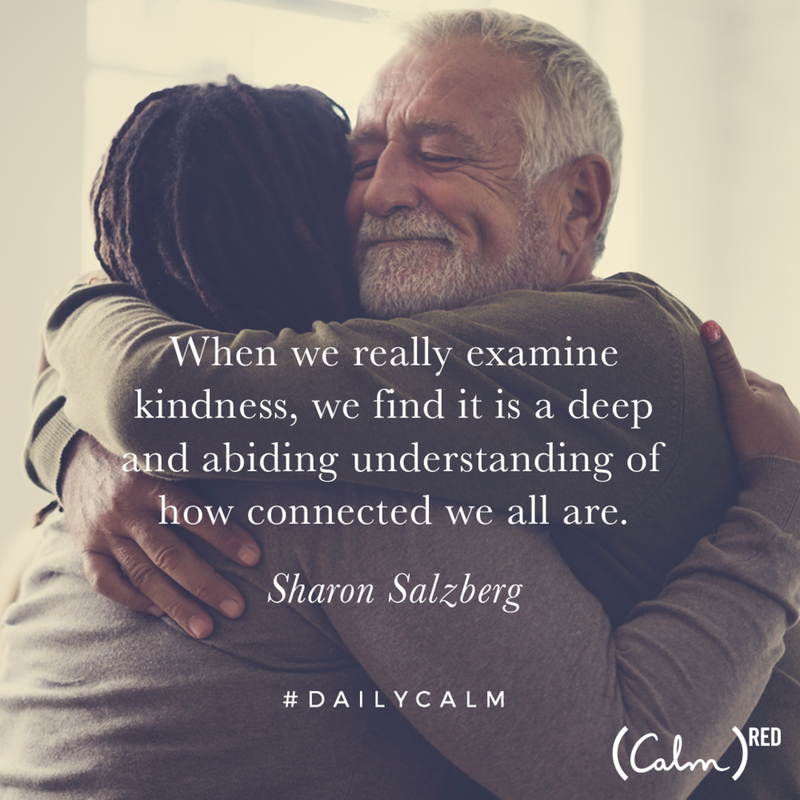 Today's Daily Calm and this month's featured Sleep Story are free for everyone. Give yourself a 10-minute break to cultivate compassion and loving-kindness with our special World AIDS Day meditation. Meditate now. When you're ready for bed, celebrate the extraordinary landscape, wildlife, and dream-inducing sunsets in our newest Sleep Story, A Love Letter to Africa, narrated by Zimbabwean-American actress & playwright, Danai Gurira. Listen now. Learn more about how (RED) is helping to prevent the mother-to-child transmission of HIV in this touching video.